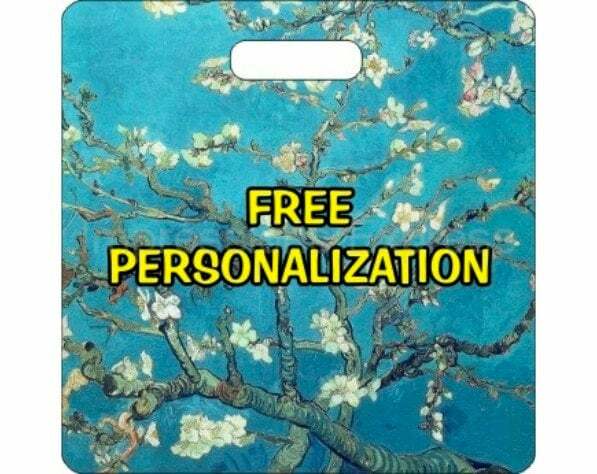 Vincent Van Gogh Almond Branches Painting Personalized Square Luggage Bag Tag. A personalized double sided Almond Branches design on a square luggage bag tag. The image on this luggage bag tag is a high resolution image of Vincent Van Gogh's 1890 painting called Branches With Almond Blossom.